The Paris Agreement went into force on November 4, 2016, as over 55 countries that produce at least 55% of the world's greenhouse gas emissions acceded to the agreement on that historic day. The passage of the Agreement acknowledged that different nations have different capacities and duties to climate action, so as to hold the increase in the global average temperature to well below 2°C, and that all countries are individually responsible for mitigating greenhouse gases emissions. In keeping with international trending, the Legislative Yuan approved the Greenhouse Gas Emission Reduction and Management Act ("the Act" hereafter) following a third reading on June 15, 2015. The Act went into force on July 1, with a presidential decree. The Environmental Protection Administration would act as the central competent authority at the central government level, and work with member agencies and departments to facilitate the institution of "Adaptation Strategy to Climate Change in Taiwan," "Action to Reduce GHG Emission," and "GHG Emission Targets in Phases." Competent authorities for various projects at the central government level also initiated the "Sectoral GHG Emission Control Action Plan." Local administrations also formulated and implemented necessary GHG control programs in accordance with Article 15 of the Act in view of central-level action plans, to promote carbon emission and adaptation projects to heighten public awareness and consolidate consensus. A “Low-Carbon City” is one of the four development visions of Tainan, representative of an environmental commitment to future generations. We are steadfast in our effort to promote low-carbon policies. 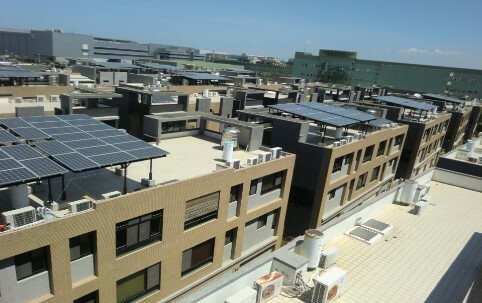 In 2011, Tainan became the only nationally-recognized model low-carbon city in southern Taiwan. In addition, we at the Tainan City Government translated climate mitigation ideas into specific measures, by launching “Perfect Ten: Low-Carbon Actions in Tainan.” Mayor William Lai designate 2012 as the “first low-carbon year” of Tainan, calling for the participation of every citizen to live sustainably. As a forerunner for climate cause of the country, Tainan promulgated the “Self-Government Rules for Making Tainan a Low Carbon City” on December 22nd, 2012, further testifying to the city’s resolve to specific climate mitigation actions. "Resilience" is the key in successful, future-proof urban planning and urban development: in addition to racing against time to minimize climate-induced costs, governments must also consider environmental sensitivity and responsibility in their urban planning and development programs. 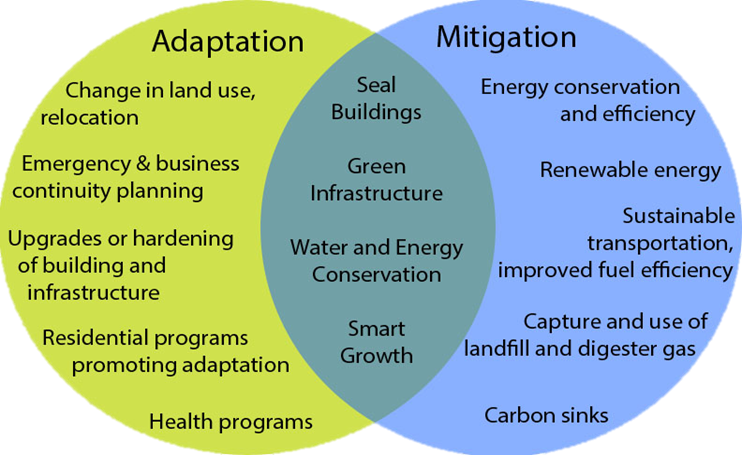 "Mitigation" and "adaptation" are two overarching climate change response strategies adopted to combat global warming. The former aims at reducing the greatest culprit of climate change - greenhouse gas emissions; the latter addresses effective response strategies to battle the impacts of global warming. Both "mitigation" and "adaptation" measures have to be executed in tandem to take effect; they also require wide public support to minimize climate change-associated risks and threats. With that, both mitigation and adaptation solutions can ensure humanity a chance at sustainable survival in the face of global warming-triggered environmental and social changes. 2,816 applications were approved for the installation of PV systems in Tainan, with the total capacity of 156 Mw generated in annual electricity at 19.52 billion kWh. They would also help to cut 100,000 tons of carbon emissions annually. In Tainan, the number of green buildings have grown steadily. In 2015, there were already 179 green buildings and 24 Diamond green buildings in Tainan. The picture, which named National Cheng Kung University Magic School, is one of the city's iconic green buildings. 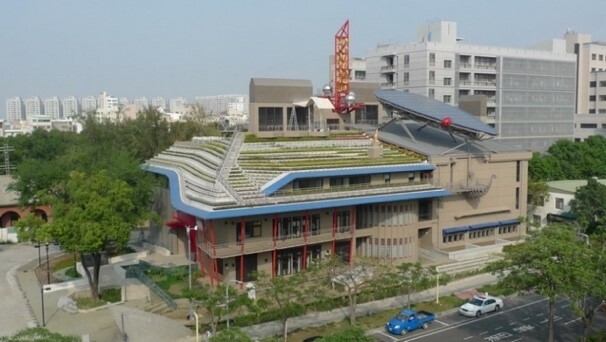 It is also the First Zero-Carbon Building in Taiwan. Tainan City has developed a unique rapid Transit public transportation system, “Tainan City Bus”. Working as part of the “Metro Bus” scheme, which included routes and network reforming, tight scheduling, smart card integration, and a distinct corporate identity. 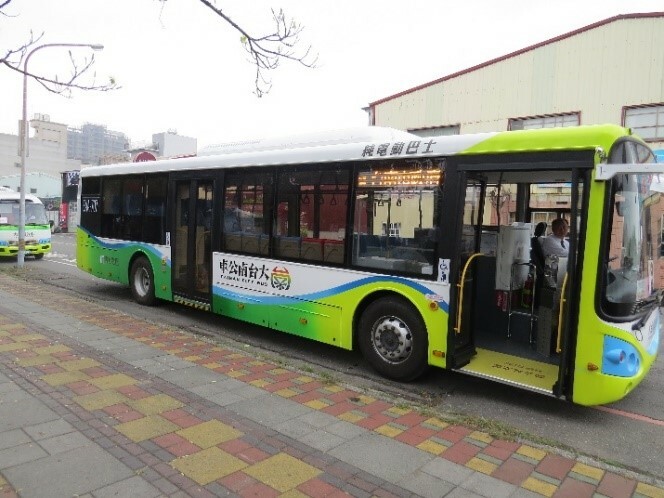 This year, bus route 77, which was the first electric bus route in Tainan, was inaugurated. The operation of this bus route symbolizes the continuous endeavor of the city to attain its vision of “connecting campuses with convenient bus travels” in Tainan City. 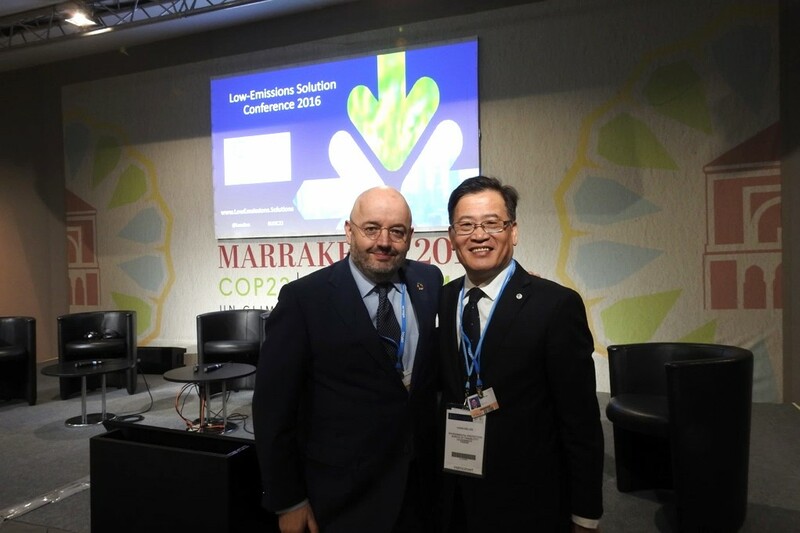 Director-General Hsien-wei Lee of the Environmental Protection Bureau led a delegation representing the Tainan City Government to Marrakech, Morocco, for the 22nd Session of the UN Framework Convention on Climate Change (COP22), hosted by the United Nations Framework Convention on Climate Change (UNFCCC) from November 7 to 18. Low Emission Solution Conference (LESC) was scheduled for the second week, hosted by UN, International Council for Local Environmental Initiatives (ICLEI), World Business Council for Sustainable Development (WBCSD) and Sustainable Development Solutions Network (SDSN). By virtue of this platform, city representatives discussed their experiences in hopes of identifying an effective low emissions solution, and raising awareness of the importance of mitigating greenhouse gases emissions in urban areas. 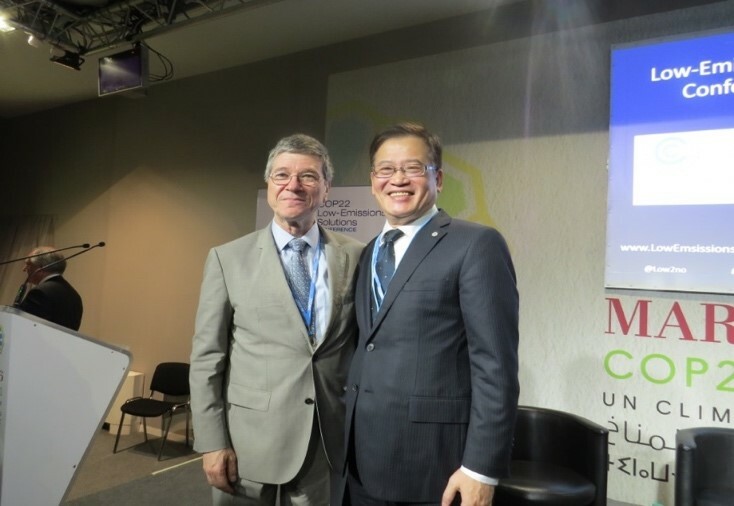 Director-general with SDSN Adviser Jeffrey Sachs. The 2030 Agenda for Sustainable Development was adopted at the United Nations Sustainable Development Summit. It went into effect on January 1, 2016, to guide the decisions that countries would make at the regional and global levels. 17 Sustainable Development Goals (SDGs) with 169 associated targets would be key to realizing a partnership for global sustainable development. Next, Goal 17 and 100 indicators would be implemented to strengthen an international criterion for municipal governance, performance review, and priority policy support for sustainable development. These measures would be taken progressively to upgrade Tainan from a low-carbon city to a sustainable city. Our city, Tainan, will make green policies as our foundation, combining them with innovative regulations, and launching a low-carbon city promotion commission to develop clear reductive targets, strategic directions, incentives, counsels and principles. Moreover, we would like to engage every community and industry in the city's bid to perpetuate a low-carbon lifestyle and culture, and promote a green lifestyle collectively as an urban community.